One of my great grand mothers was a singularly unlucky person in her life. In her short life span of 40 odd years, she must have had very few joyous moments. She lost both her parents in early years and was raised by her uncle and aunt. I have no knowledge, whether she had any formal education, but most probably she had none. Her marriage was fixed (as was the tradition then) into a well known rich family from a neighbouring village. No one knew how this orphaned girl found such a lucky break? However the real reason for this lucky matrimonial arrangement soon came to light, when it was found out that the groom was on drugs. This was the second cruel blow for her. The next few years, she survived in the big household as the old patriarch ( her father in law) was still living. But after his death later, the reality came out that the family was in dire straits financially. Soon the family divided and debt also was divided along with the assets. My Great grand mother soon lost her husband( still on drugs) and had to sell off almost everything, she possessed, including the portion of the family dwelling that was allotted to her during division, to settle the debt. She had no house, no means of income and assets. Finally, she had to go back to her uncle, with her one and half year son and survive on their help, till she died, may be in her thirties or early forties. What would you say about her life story after reading this? I am sure that everyone would consider her a very unfortunate person. I keep wondering however, whether we can really call her unfortunate? Was she handed out a very unfair treatment by destiny all the way? Even here, I am not very sure because I am little confused about, "what is being fair?" after all. I have heard my grandchildren asking this question many a times, when they think that they are being treated in an unfair manner visa-a-vis their siblings. The school where two of my grandchildren study has a system under which there are no formal examinations till sixth grade. I often hear the elder grandchild complaining that her sibling is very lucky because he has no exams and she is being treated unfairly as she has to study hard. Another common complaint is that the elder one gets only books as presents on her birthday, whereas, the younger one gets nice toys. So, what can we say? Is it fair or not? Moving from children to adults, it is kind of strange that the same question haunts many of us. The question might take other forms such as “Why me of all the persons?” or “There is no real justice in this world!,” both these forms really mean that somebody has been grossly unfair to the person asking this . The children complain that their parents, school and others around are unfair, whereas adults grumble and whine same thing about Government, dead parents and if nothing else, then destiny or providence. Well! To face the truth, we are born and brought up as unequals even when born to the same parents. We often see one sibling well behaved, studious and the other one exactly opposite of that. When they grow up, there is likely to be no similarity between them with one sibling being rich, influential and the other one, part of general mediocrity. Some people believe in what they call as “ Principle of averaging.” This means that everyone is bestowed with some good, desired things and some undesirable things in such a way that overall the person remains mostly dissatisfied with his life. I feel that this principle is nothing but a clever way devised by people to console and comfort themselves from their dissatisfaction about their own lives. The harsh truth is that there is no equality between us at all. Some are just born lucky so that they get good parents, good education and good opportunities to go ahead in life, whereas some like my unfortunate great grand mother, whom the life has always cheated. The balance of us stay somewhere middle of these two, with scanty good happenings and most things going against us. Would this mean that the destiny or providence has been unfair to most if us and fair to only few lucky ones? I do not agree with this concept, because here we are assuming and applying same standards of success or failures to all of us, who are basically unequals. We tend to measure success in life in terms of financial status and fame, a good family life and so on. What is grossly unfair is not what destiny has given to us, but rather the standards that we are applying to measure our success. Success or being lucky in life should be determined by the joy a person gets while living, however, even the concept of happiness is not same for each of us; that is why a couple ( both Doctors by profession) opts to spend their entire lives with the tribal living in deep jungles and sees the welfare of these people as their biggest joy. Can we really term the life of this couple as a disappointment? For all of us, our lives are shaped up by the circumstances that we face right from childhood. This no way means that destiny has treated us in fair or unfair manner. 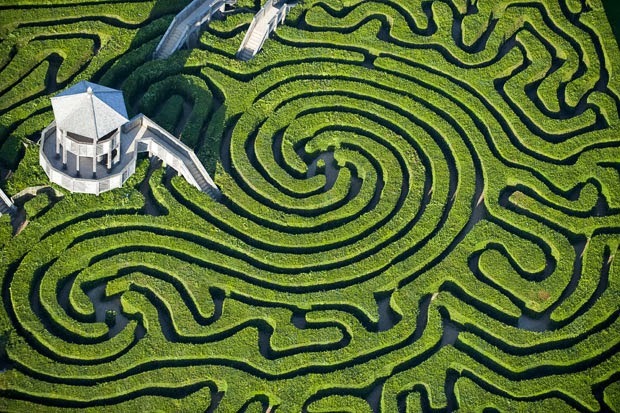 Our life is a maze and we go on making instant decisions to reach the destination. Some decisions prove right and some disastrous. But they are our decisions and not provided by destiny. What is even more surprising is that the final destinations for even siblings are not really the same, so whether they have reached their destinations or not can judged by only one thing; joy or happiness they derive from life. This happiness is according to me is the real standard of success. Coming back to my great grand mother, who knows whether she was happy or dejected in life? For people like me who are generations away, her life looks like full of misery. But how can I be sure? It may be that she was actually a fighter and might have fought with all the calamities that had fallen on her and at the end might have been happy to see her son growing well into manhood, when she had breathed her last. दैव,प्राक्तम अथवा नशिबाला दोष देत बसण्यापेखाशा व माझ्यावर अन्याय्य झाला म्हणून रडत बसण्या ऐवजी प्रतिकूल परिस्थितीशी धैर्याने मुकाबला करत धीरोदात्तपणे संकटांना सामोरे जाऊन त्यातून मार्ग शोधून काढून जिद्दीने मात करणे व आयुष्यात यशस्वी होणे हेच योग्य ! मात्र त्यासाठी मन खबीर ठेवणे व मनांला सतत फक्त सकारात्मक विचार करायला लावायची सवंय लावून घेण्याची आवश्यकता असते. 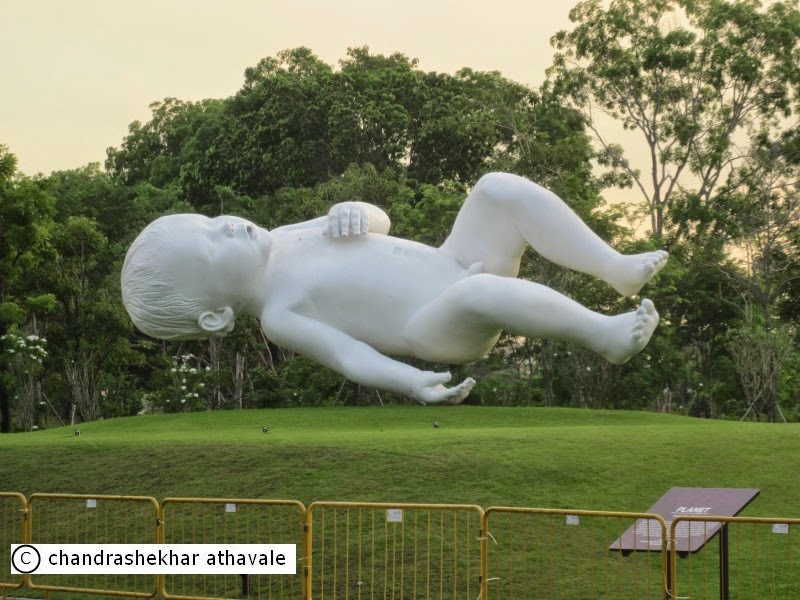 फक्त माझ्याच वाट्याला हे का आले ? असा नकारार्थी विचारही मनात येऊ देता उपयोगी नाही.